This entry was posted in Home, Garden, Design and tagged Design, For the Home. Bookmark the permalink. 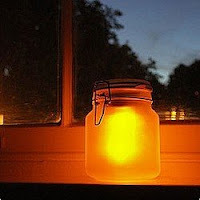 1 Response to Sunlight in a jar?